Left Pier: Three adjustable shelves; one fixed shelf. Right Pier: Three adjustable shelves; one fixed shelf. 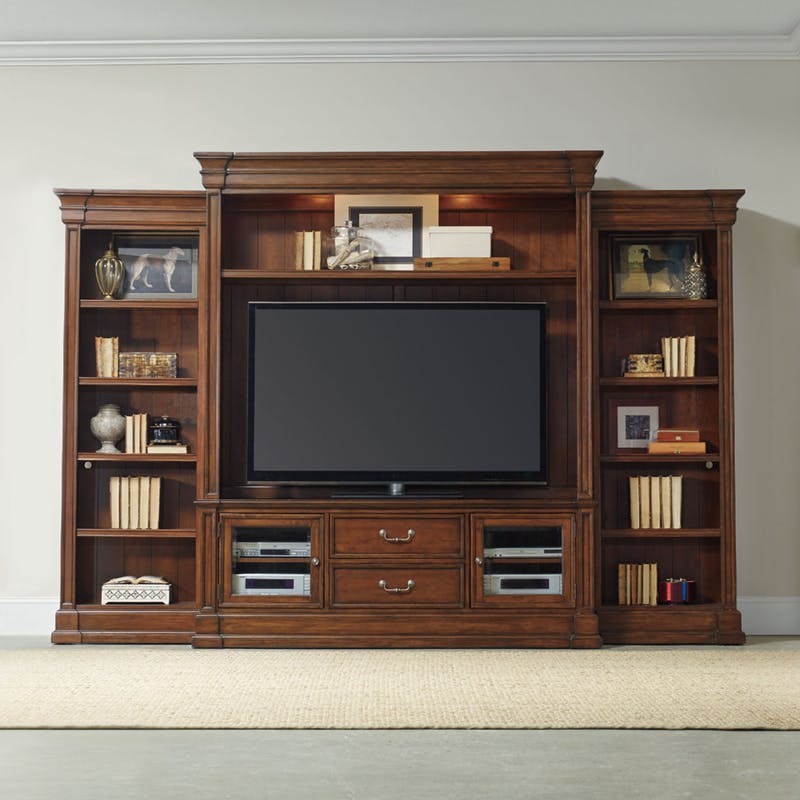 Entertainment Console: Two wood-framed beveled glass doors with one adjustable shelf behind each; two utility drawers with dividers for CD/DVD storage; one three plug electrical outlet; removable waist and base molding. Entertainment Console Hutch: One adjustable shelf; two lights controlled by three-intensity touch switch. TV space: Inside pilasters: 64 7/8W x 18 1/8D; Inside end panels: 68 7/8W x 18 1/8D; Shelf heights above console: 37 7/8H, 40 3/8H, 42 7/8H. Click here to receive email quote for Four Piece Wall Group item.